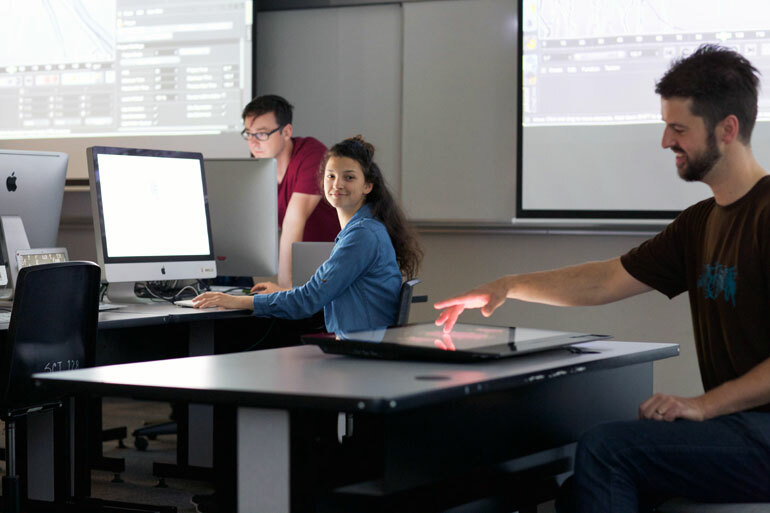 UBC Okanagan Instructor Miles Thorogood (right) shows students some of the technology that will be used in the new BMS program. There’s a new program at UBC’s Okanagan campus linking the tech industry to academia. UBC's newly-introduced Bachelor of Media Studies (BMS) will begin accepting applications this month for entry in September 2017. BMS graduates will become skilled in many high-demand areas, including game development, web design, interactive media, film production, and graphic design. Students enrolled in the program will study digital media arts, visual art, computer science, the social sciences and humanities. Through applying to the co-op education program, BMS students also have the opportunity to gain hands-on work experience to expand their skills and understanding of new media and technology by working with a variety of companies in the field. “When designing the BMS, it was important for us to consult and work with local players in the industry, to ensure we understood exactly what kind of graduates they would need now and in the future, to give our students the best chance to contribute to and succeed in this industry— an industry that is quickly becoming a major player in our region,” adds Eggleston. Early supporters of the BMS include Accelerate Okanagan, a Kelowna non-profit that helps technology entrepreneurs start and grow their companies. A study conducted by Accelerate Okanagan shows the Okanagan tech industry brings in $1 billion to the economy annually. 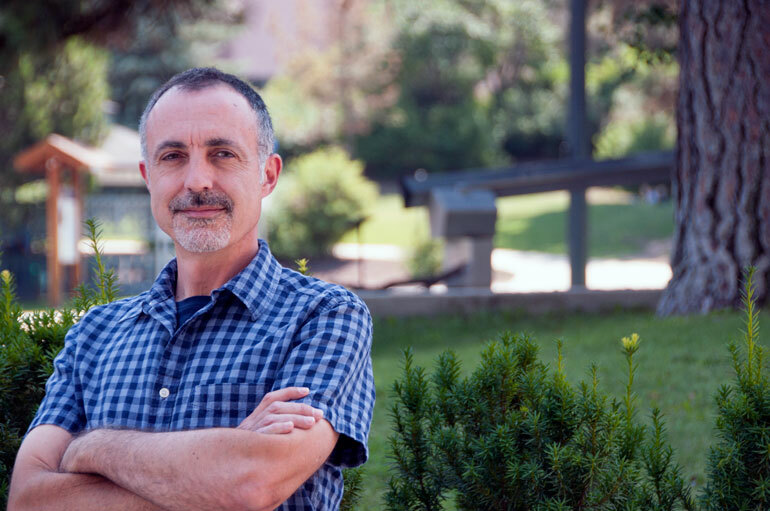 Robert Eggleston, acting dean of the Faculty of Creative and Critical Studies.